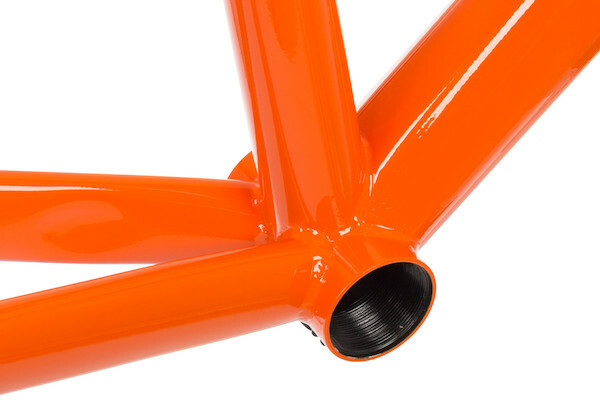 Elegantly sculpted, triple butted frame tubes are hand cut, mitred and carefully TIG welded to produce a lightweight, steel road frame of uncompromising performance and beauty. With a handmade 320 gram, carbon fibre fork the Holdsworth Competition is as light as it fast. 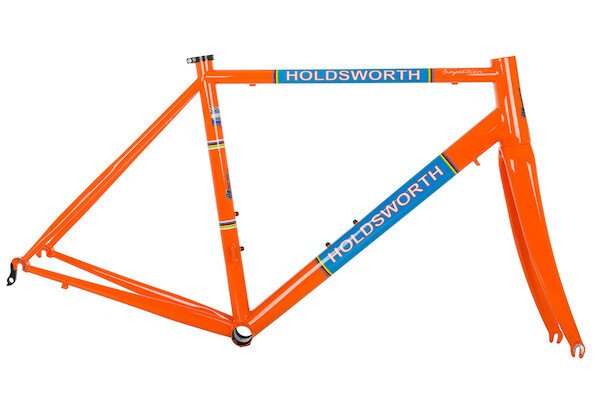 The Competition brings the Holdsworth story right up to date, blending cutting edge construction and materials with time honoured handmade craftsmanship. The Holdsworth Competition is full of carefully considered design touches. An oversized tapered headtube helps deliver responsive, pin-point precise steering. 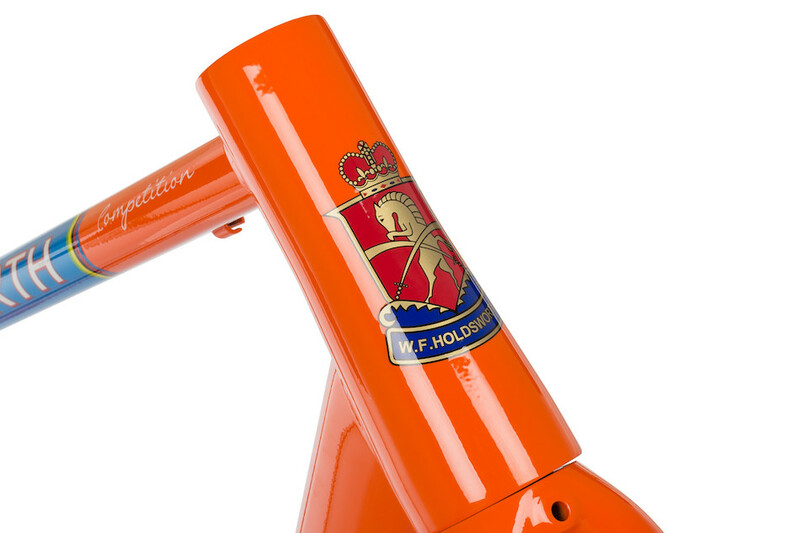 accepts a narrow 27.2mm seat post to help keep the weight down. 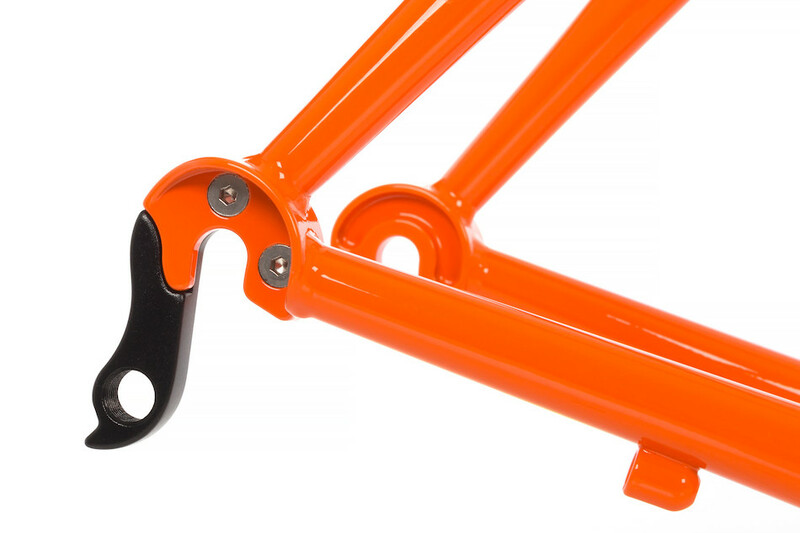 A standard BSA threaded bottom bracket ensures you'll never suffer from BB squeaks like all those press-fit frames. 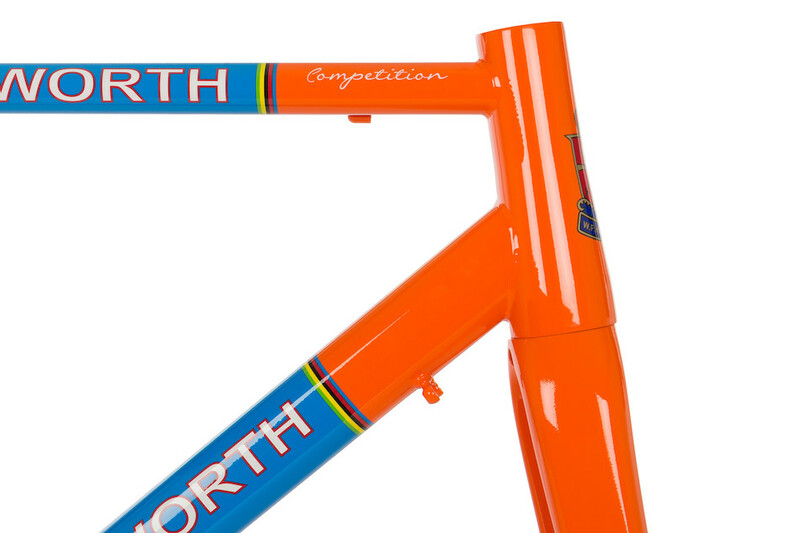 Carefully sculpted and shaped frame tubes are designed to deliver a responsive, agile ride. 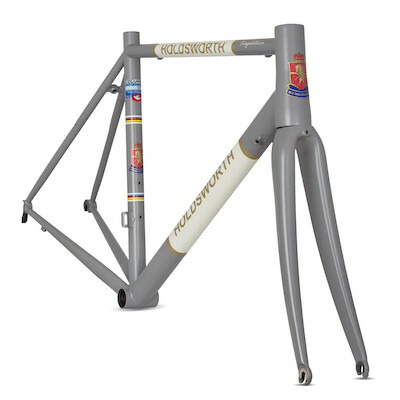 It's a bike that's suitable for flat-out competitive efforts as well as long days in the saddle. 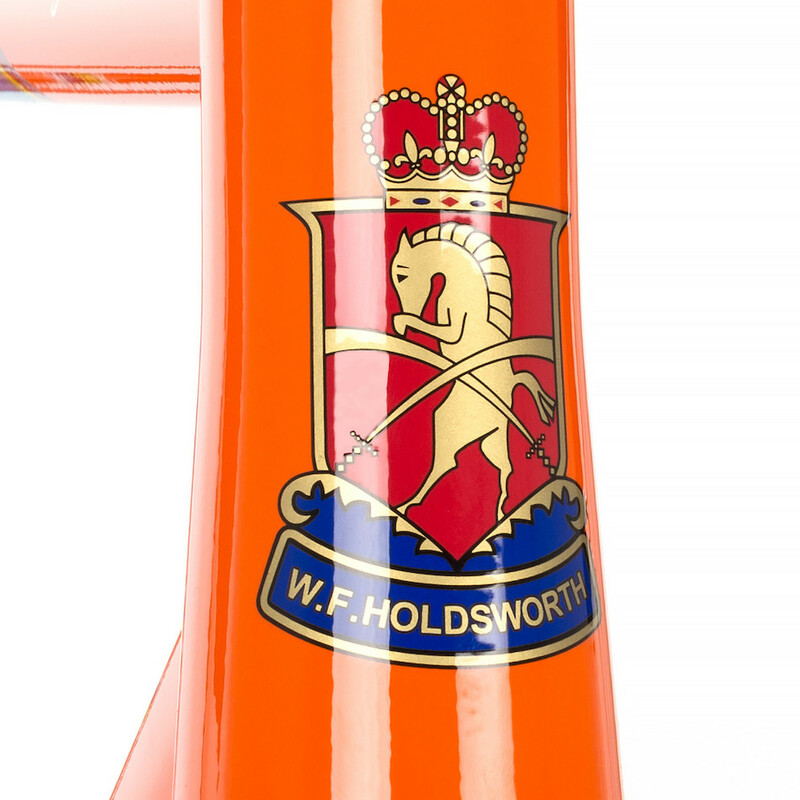 As with all Holdsworth cycles the Competition is beautifully hand-crafted through each stage of production. Every tube is cut and mitred by hand before being TIG welded into place. Individual inspection controls all stages. 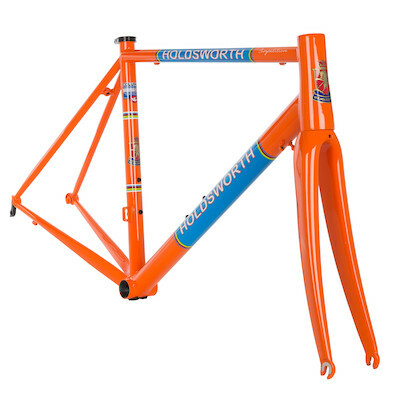 The result is a newly made frame of the same quality, finish and heritage that you would expect from any vintage Holdsworth but with a performance on the road that is unmistakably modern. The history and heritage of Holdsworth brought bang up to date in a great-value package. if you're after a bike with some heritage to go with its modern components and performance, it could be the ideal match. 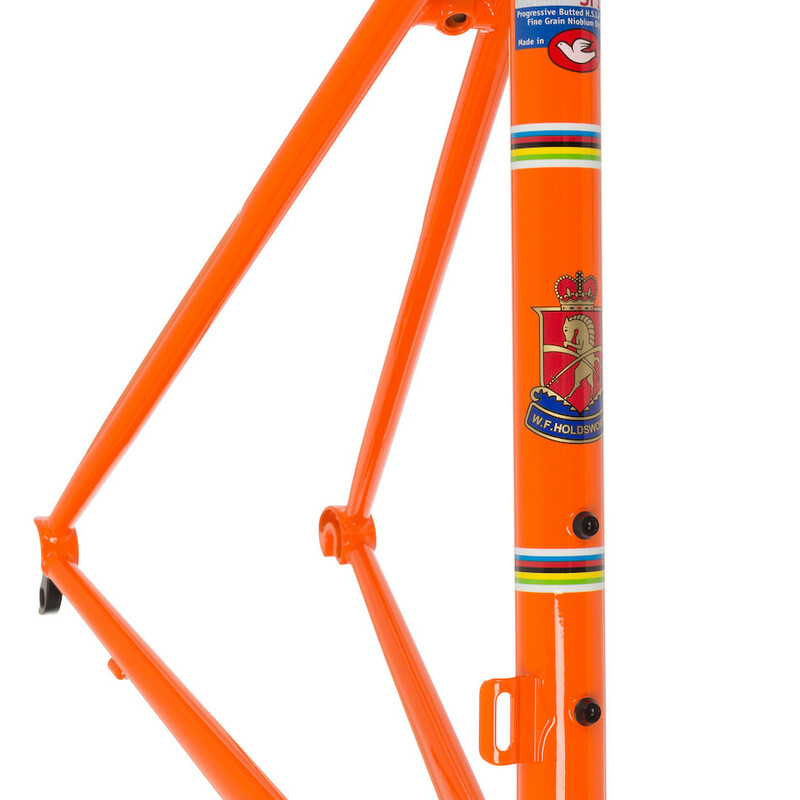 A modern retro bike in both design and ride quality. 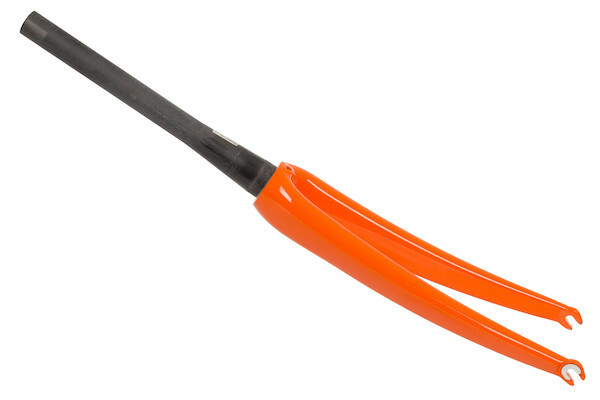 If thats what youre looking for in your retro kicks wed highly recommend it. 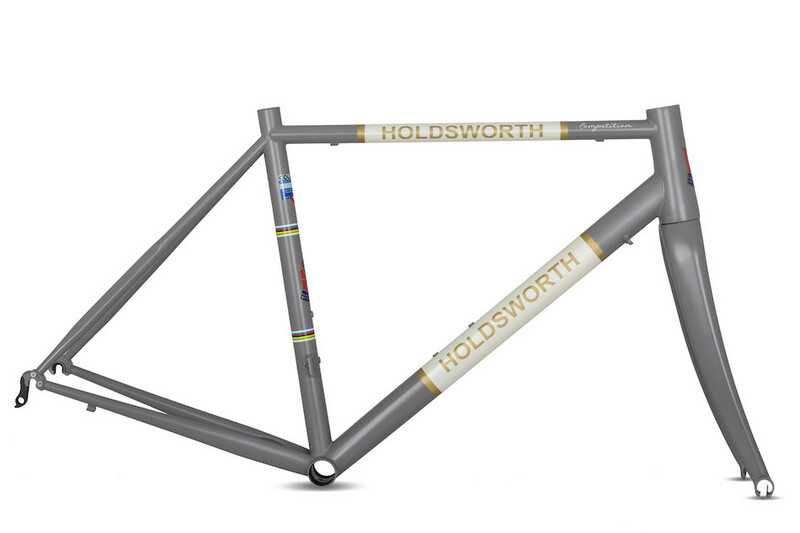 Think of the Holdsworth as a state of the art steel race bike wearing a vintage suit and youll be on the right track. 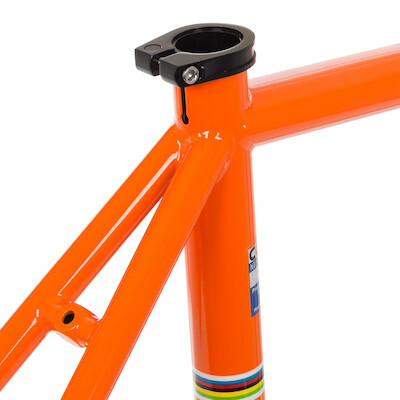 * NB: Frameset requires a 31.8mm band-on front derailleur clamp, it does not have a braze-on clamp as pictured. This Frameset is brand new but has a chip on the bottom bracket shell, as shown in the picture's.